There will be a new roller coaster opening at Alton Towers in two years time. The resort's general manager Ian Crabbe confirmed the news in an interview with local newspaper The Sentinel. Continuing the trend of previous ground-breaking rides Nemesis, Oblivion and Air, the new coaster is purported to be another world's first. Mr Crabbe said: "We are going to be working extremely hard to make sure this ride is the only one of its kind in the world. "It will draw people in from across the UK." 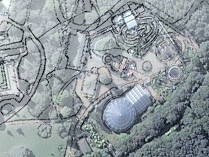 According to the article, the ride will cost more than the £15 million spent building Thirteen in 2009. Leave all your shagging till the end of the day.